Gone are the days when traveling is only for rich people and retired ones. Thank you for the cheap airfares, seat sale and long weekends because it gives us a chance to fly and see the world. Traveling out of the country is not cheap because we have to pay travel tax, terminal fee, and visa. Visa is not cheap, aside from the visa fee you need to spend money on other requirements like a photo, bank certificate, travel medical insurance and other expenses. The sad part is if your visa is denied you cannot refund the expenses that you have spent. 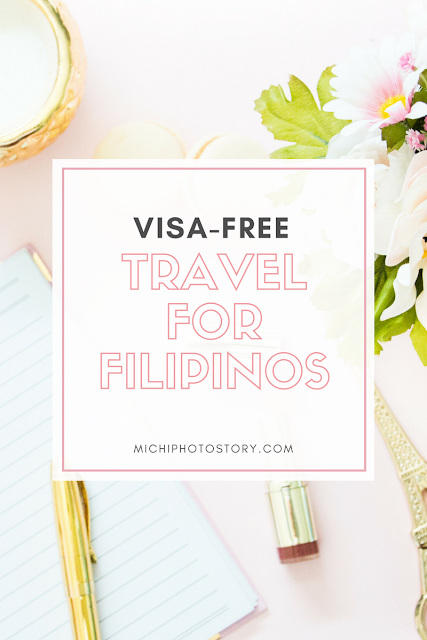 But don’t worry according to Wikipedia; here are the countries that are visa-free for Filipinos and some countries that issue visa-on-arrival with a minimal fee. My husband applied for a Business Visa when he went to Indonesia because he was advised to get one. But during his last trip, he did not get any visa even for his business trip and they let him pass the immigration. Republic of China 30 days if holding a valid visa for Australia, Canada, Japan, New Zealand, Schengen countries, United Kingdom or the United States. Online registration required. Good to see some of the countries I want to visit are visa-free especially in South America and Asia.